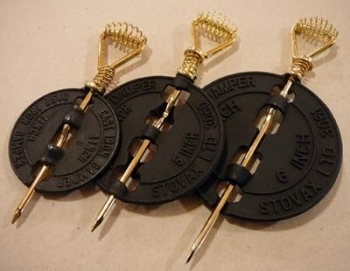 There are quite a few parts on a stove that you will end up replacing. The glass is easy to accidentally break either by hitting it from the outside or by closing the door onto an obstruction such as a piece of wood that is too large. Don’t worry it is realtively easy to replace the glass in your stove. The glass is often sealed with a gasket or rope. If it is a gasket then the easiest thing to use is U shaed channel which pushes over the edge of the glass. If there is a rope seal then you will need some of the correct diameter rope and some rope glue. Remember do not force any seized screws as you are likely to break them off. Lubricate with WD40 or similar and if you have the chance to twist a glass fitting to the side rather than remove it then try to do that. The grate and baffle and fire bricks in your stove can all wear out, especially if you burn coal. If your grate is burning out very quickly then this is a sign that you are burning the coal too hot and/or that you have let ash build up under the grate. Stove grates, baffles and firebricks are usually pretty easy to replace yourself, often they just slot in.